I have a full review of “La La Love” written up already that you can read here. Long story short, while I enjoyed the chorus of this song quite a bit, there were a lot of smaller issues that knocked it away from being a truly great release in my opinion. This second track is a pretty harsh stray away from the introduction of this album, shifting us to some scratchy synths and funkier guitar strums and bass rhythms. The atmospheric dreamy quality is still retained with some vocal positioning, though, and overall it definitely still sounds like a WJSN track. I actually think that this could have been a competing song for the title track, and in my opinion would have made for a more interesting one on the whole since it’s more cohesive with several points of interest that could appeal to many audiences. Exy’s rap was the biggest standout, though that’s fairly typical for me when it comes to this group. Overall the song is upbeat and sticky, but I do still feel like it lacks that strong oomph to keep me coming back for more. Once more we shift straight into a new set of sounds, this time heading into a ballad that’s placed fairly early in this album. The vocal melody is actually not quite as standard as one might expect from the rather plain instrumental, and it does help this track to stand out. The verses are really lacking emotional depth in my opinion, but the chorus does a wonderful job of making up for it. It surprisingly pulled right at the heart, and I’m honestly more shocked that the group hasn’t gone for something like this as a title track before. Even though Exy’s rap is a bit out of place in a ballad, she matches the rhythm of the song well and it doesn’t feel too jarring. The bridge and final run of the chorus really pull this song up to another level, and I’m happy to say that this was an incredibly delightful piece on the album. What starts off sounding like it will end up being another mellow track on the album quickly shifts into an upbeat whirlwind of fantastical ideas. The instrumentation was somewhat reminiscent of something that GFRIEND might do for a b-side, though with the vocal presentations landing much more on the standard side of what WJSN shows. Unfortunately, I just really didn’t feel much of anything listening to this track for the first two-thirds of it, with only the final fifty seconds amounting to giving me an enjoyable sense of adventure. It doesn’t really even build up to that, necessarily, so it was kind of an awkward fit, but somehow it worked out nonetheless. I wouldn’t search this song out by any means, but I also don’t think I’d skip it if it cropped up randomly on my playlist. This track immediately sounded like another track that could have been competing to be the title track for this album. The synth hook presented at the beginning was intriguing enough to grab your attention alongside the softer pieces, and once more the string instruments bring up the rear and pull this song into that sort of otherworldly vibe. Exy’s rap once more is a standout, though I think it actually lost out to the pre-chorus buildup this time around. It almost has a similar disruptive feel to “La La Love,” but the follow-up portion actually transitions it all crisply, which I found much more enjoyable. In reference to the title, I’m really not sure that I felt this was any smoother than their typical vocal presentations, so I don’t know that they nailed the concept on that front, but it was an enjoyable track nonetheless. This has to be the standout track on this album without a doubt. It’s entirely different from everything else that preceded it, as well as the track that ends the album. It flirts on the side of big band styling, almost shifting to full on jazz with its piano bits, and then to styling similar to the more standard WJSN approach for the chorus. It’s definitely a wild ride of a track, but I appreciate the exploration of ideas at the very minimum. It manages not to be too jarring when swapping between parts, though I’ll admit that the chorus definitely threw me off on first listen. It’s not that it’s entirely cohesive, but it isn’t disjointed enough to interrupt the song. The first verse doesn’t really do much at all if anything for me in this song, but the pre-chorus picks things up and the refrain itself is pretty solid and catchy, so it’s got more positives than negatives to me. Overall, while I’m not the biggest fan of the song, I really do enjoy the experimentation and attempt, and I found it impressive how much was combined here without being an absolute mess. The final track on this album ends things with a more ballad-y note. Unfortunately, this track is a lot more stereotypical and less interesting than the ballad placed earlier in the track list. It doesn’t really do much to hit you in the feels with emotion, which is a stark contrast to the praises that I gave to “Star.” While the vocals are nice and clean, they just don’t have emotional weight and that leaves me wanting so much more from this song. I’m sure that this is a favorite track for several fans out there, but I just don’t find myself melting to this track the same way that I do when you compare it to several others that are in the same vein. It’s a shame as the prior ballad was my favorite track on the album, and somehow on the other side of the coin is where I find this one. There’s always been something that just keeps WJSN from achieving that next level of greatness for me, and unfortunately this set of songs doesn’t really change my mind much on it. While I absolutely adored one of the ballads and was floored by how well they pulled it off, somehow within the same album they disappoint with what I’d certainly consider to be a lackluster and typical inclusion of a forced, generic ballad. The other tracks range from good to solid, but nothing really strikes me as an immediate standout that I’d need to have as a recommendation for everyone to hear. 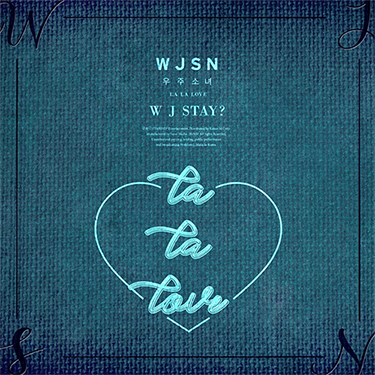 If you’re already a fan of WJSN’s discography, I’ve no doubt that this album rates much higher for you, but for whatever reason I just can’t get into the music.